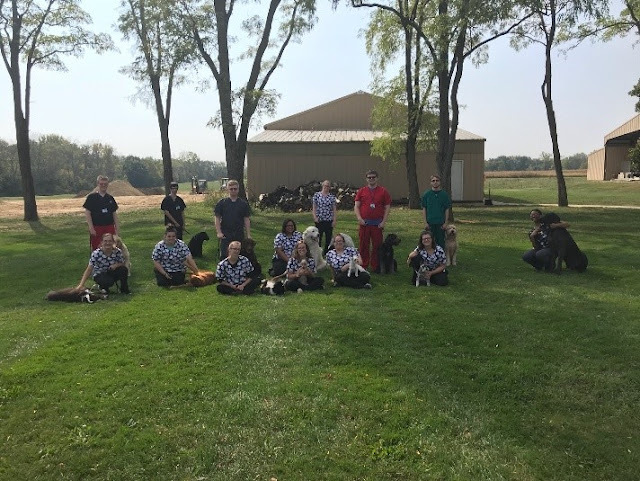 Englewood, Ohio -- Over the past four weeks, the seniors from the Miami Valley Career Technology Center (MVCTC) Animal Care and Management Program have been studying a dog obedience unit. 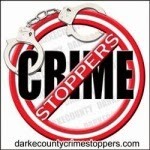 Each student has an assigned project dog to train for the duration of the training course. Students teach their dogs the sit, heel, come, stay, and down commands. Dogs are trained two times per lab day for 20 minute sessions. Occasionally the students would trade dogs with another to see how different dogs react with different people and implement their training skills. Students learned that it is very easy to get frustrated with the dogs especially when they refuse to listen, but were taught to keep a positive attitude and to stay calm. If you were to ask anyone in the class they would tell you that even though it was frustrating at times it was also rewarding when the dog would finally listen. Students took a written test and were tested with their dog as a final practicum to demonstrate the dog’s improvement from start finish. Students in the Animal Care and Management program will learn about many different small animals from dogs to birds, reptiles, and fish. They will learn to groom dogs, operate an actual retail pet shop, and obedience train dogs. Animal Care and Management students also are given the opportunity to compete in state contests that demonstrate the skills they have learned in the program.